Gazprom Arena is located on the former site of the Kirov Stadium, which opened on the 30th July 1950 (construction began in 1932). The arena was known as Stadium St. Petersburg for the time period of the Confederations Cup in 2017 until the conclusion of the 2018 World Cup. The construction of the arena began in 2006 and was designed by Japanese architect Kisho Kurokawa, whose plan included the preservation of the landscape and pavilions of the Kirov Stadium. The pitch in the new stadium is in the same place as the Kirov Stadium and the new arena has preserved the historical ticket offices and the statue of Sergei Kirov within its design. Some of the most important construction innovations are the overlapping of the arena stands with the retractable roof, which has a diameter of 286 meters and is supported by 8 pillars. The Gazprom Arena also has a retractable pitch, allowing non-football activities to be held on a solid surface. The official match held at the stadium was the game between Zenit and Ural on the 22nd of April 2017. The blue-white-sky blues beat the Ekaterinburg side 2-0. 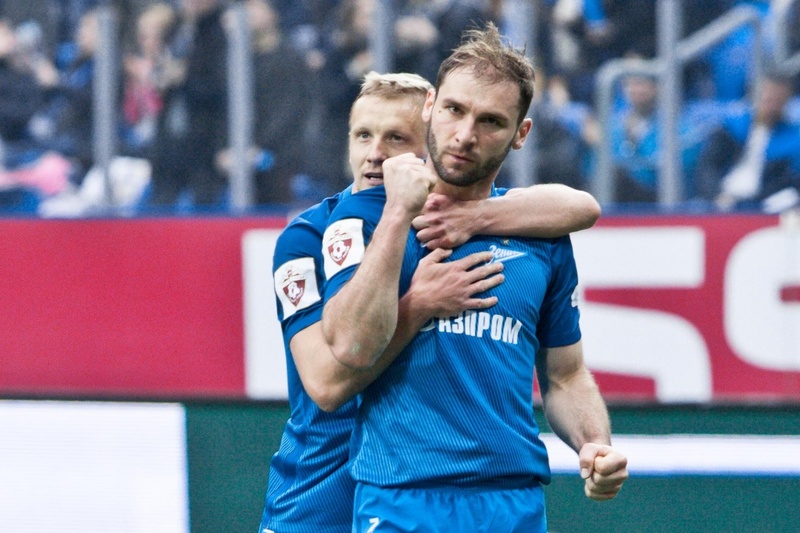 The scorer of the first goal in the stadium’s history was Serbian defender Branislav Ivanovic. The match was attended by 20,004 supporters. In the summer of 2017 it hosted four Confederation Cup matches and became the most attended arena of the whole tournament. Tickets for Zenit’s home games at the new arena can be bought from tickets.fc-zenit.ru.